[Announcement] Types of MIUI Firmware: Weekly Differences From Stable!! [ROM] MIUI 10 Global Beta ROM 9.4.18 is released & pushed out for Mi Max 3! 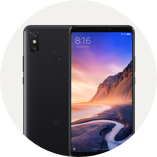 [Announcement] Xiaomi Mi Max 3 SF: Rules, Guidelines. Kindly Read Before Posting! [ROM] All official ROM MIUI 10 for MI MAX 3! Latest Global Stable V10.3.1.0, Latest Global Beta 9.4.18! [Tips] How to Connect your Device to PC for File Transfer by default! [Discussion] Mi Max 3 in 2019? [Tips] Calibrate Proximity sensor on Mi Max 3! Wоrk almost on all devices with Snapdragon! [Discussion] who knows what glass protection have the max 3? [Discussion] Do you guys land your phone charging overnight,? [ROM] MIUI 10 Global Stable V10.3.1.0 PEDMIXM is released & pushed out for Mi Max 3! [Tips] Dual Clock Weather widget for your Xiaomi phone!